Currently priced at £189.99 on Amazon, the Deco range of products are some of the best reviewed on Amazon, and this pricing puts it at around the same price as Netgear’s mid-range Orbi RBK20 system. 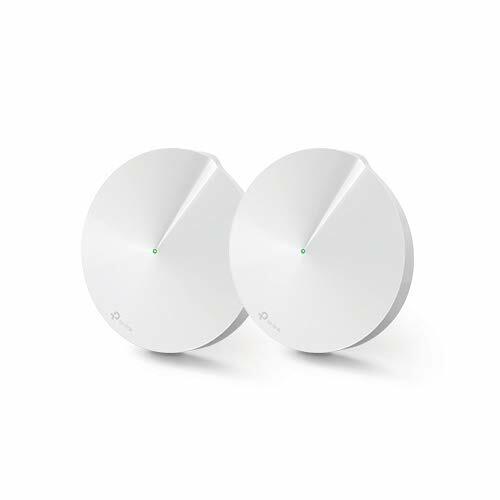 It is the powerline feature that makes this stand out from every other model on the market, rather than relying on a wireless connection between satellites, either dedicated or shared, this establishes its backhaul over your homes electrical cabling. I have reviewed several powerline systems in the past and was always a big fan of them, they are often a perfect middle ground between the inconsistent performance of Wi-Fi and the difficulty of wiring your home with ethernet. Powerline appears to fallen out of favour due to all these new mesh systems, but the Deco P7 uses this to eliminate one of the biggest issues of a mesh system, getting a reliable backhaul. With it using the powerline as the backhaul, TP-Link has kept this as a dual channel system with a theoretical 867 Mbps at 5 GHz or 400 Mbps at 2.4 GHz giving it a rating of AC1300. can be bought as one unit for £69.99. and they all can be used as either the primary router or satellite. A12U 80GN5N Bluetooth 4.2 chip. have it do things like send an email when a new device connects. adding each disk to the system is very quick. adaptor (I have not tested this). there you follow the basic instructions such as assigning an SSID and password. Once the first Deco is paired, you can continue to add more. a network, but thankfully, due to the simplicity of set up, I didn’t miss it. for all the sockets, and if this is the case, the powerline wouldn’t work. If there is no Ethernet cable between the Deco P7, the Wi-Fi backhaul and the powerline backhaul will take effect. When there is an Ethernet cable between the Deco P7, the Ethernet backhaul and the powerline backhaul will take effect at the same time. So the powerline will always be in effect assuming the devices are on the same circuit. significant speed improvements so it was clearly working. You can identify if the powerline is working via the LEDs on the power adaptor. If the indicator is solid red, means the powerline backhaul connection is bad or even failed to connect. If it is green everything is good. The powerline features appear to be both the biggest strength and weakness of this mesh system. I have a reasonably old house, and the wiring is dated at best, so when using the powerline, I get worse performance than I do with the dedicated backhaul of Netgear Orbi. However, the powerline has far greater range than the wireless backhaul. For the sake of testing, I had the primary router in my front room, then tried the satellite in my garage, which is three rooms, a garden then the garage wall away and I was still able to get a decent Wi-Fi connection being able to achieve speeds of 40.1/18.2Mbps up and down for my internet test. In comparison, the Netgear will not get its wireless backhaul that far, and I need a router in the middle room so they can daisy chain connections. When the Deco does get a good connection, it appears to offer superior performance than the Netgear RBK20 system I have for my personal use. In the front room where the primary router is, it can comfortably max out my Virgin connection at 372/22Mbps, and when doing internet speed tests using an HTML5 script on my server, it would reach peak speeds of over 630mbps. These are all within a few meters of the unit. Switching to Ethernet completely changes the results again. does not like having to go through multiple switches. you could get superb performance out of it. achieve this regardless of the backhaul used. punching well above its price point. across all the satellites is superb.